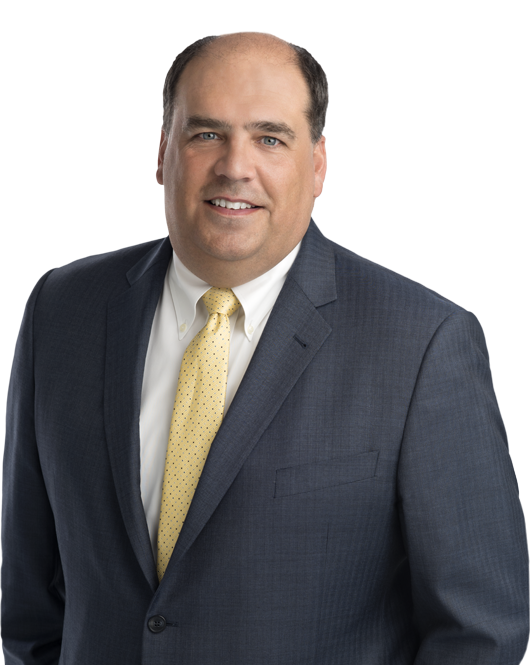 William Barry regularly advises boards of directors, companies, and financial institutions on a broad range of issues involving white collar and securities enforcement, transactional due diligence and compliance with Foreign Corrupt Practices Act (FCPA), money laundering, economic sanctions, and insider trading requirements. Mr. Barry guides clients through the complex issues involved in responding to inquiries from domestic and international regulators regarding issues of accounting fraud, foreign bribery, money laundering, and other financial crimes. He represents clients faced with the challenge of responding to competing demands in parallel proceedings, such as internal reviews, government investigations, and private civil actions. Mr. Barry is a member of the American Bar Association's International Anti-Money Laundering (AML) Committee and International Anti-Corruption Committee. He has been designated as a Certified Anti-Money Laundering Specialist by ACAMS, the Association of Certified Anti-Money Laundering Specialists. Mr. Barry is the chairman of Olney Boys & Girls Club, a non-profit sports association that serves approximately 5,800 children and their families in Maryland. Represented the audit committee of a Fortune 300 Latin-American national oil company in conducting an internal investigation into allegations of cost overruns, corruption, and internal control deficiencies. Interacted with the U.S. Department of Justice (DOJ), the U.S. Securities and Exchange Commission (SEC), and external auditors on behalf of the audit committee. Represented the audit committee of a multi-national agro-business with operations in Latin America and EMEA in conducting an internal review of corporate acquisitions, product quality and environmental controls, and interactions with government officials. Represented an offshore trustee company with respect to a criminal tax investigation involving the DOJ and regulators in various offshore jurisdictions. Advised a German manufacturing company regarding an internal review of allegations of corruption related to its Swiss operations and the use of third-party agents, as well as compliance with U.S. economic sanctions matters. Represented the audit committee of a global asset manager in conducting an independent investigation and interacting with U.S. regulators regarding allegations of FCPA violations, economic sanctions, and money laundering. Represented the audit committee of a U.S.- and Canadian-listed public company regarding an independent investigation into revenue recognition and reserve accounting issues. Represented employees of non-U.S. bank in connection with an investigation by the Southern District of New York (SDNY) and the New York County District Attorney's Office (DANY) into potential violations of U.S. economic sanctions implemented under the Trading with the Enemy Act of 1917 (TWEA) and the International Emergency Economic Powers Act (IEEPA) and administered by the Office of Foreign Assets Control (OFAC). Represented the board of directors of a petroleum industry Fortune 100 multinational corporation headquartered in Brazil relating to U.S. regulatory matters, including government investigation and civil litigation. Advised financial institutions with respect to AML policies, procedures, and controls. Conducted AML compliance audits of third-party administrators. Successfully defended an investment adviser in connection with SEC insider trading investigation involving a global pharmaceutical company. Conducted an audit committee investigation into reserve accounting issues at a U.S.-listed, multi-national retailer. Obtained declinations from the DOJ and SEC on behalf of a U.S. telecommunications company in connection with parallel criminal and civil investigations into allegations of FCPA violations. Advised multibillion-dollar hedge fund and private equity fund clients with respect to anti-corruption due diligence and compliance issues related to investments in and monitoring of portfolio companies in Brazil, Russia, India, and China. Defended a former chief executive officer of a Fortune 25 company in an SEC accounting investigation. Defended foreign institutions in connection with parallel enforcement, tax and money laundering investigations by the SDNY U.S. Attorney's Office, SEC, and Permanent Subcommittee on Investigations of the U.S. Senate. Advised a Swiss financial services firm regarding economic sanctions and anti-money laundering compliance. Matteson Ellis and William P. Barry will present during Marval, O'Farrell & Mairal's International Summit on Compliance, Anti-Corruption and Investigations in Argentina on September 13, 2018. William P. Barry will be speaking at C5's 12th annual Anti-Corruption London Conference on June 28, 2018.